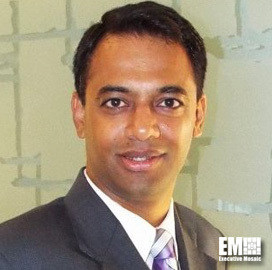 Karthik Srinivasan, formerly the capture and business development director at ManTech International (Nasdaq: MANT), has joined Irving Burton Associates as senior vice president of federal information technology services. Srinivasan will be responsible for IBA’s operations, business development, capture, proposals and marketing initiatives in coordination with the contracting, pricing and recruiting divisions, IBA said Wednesday. “His focus on growth, organic and new, along with his commitment to lead our strategic direction will greatly benefit IBA and our leadership team, ” said Mary Dowdall, IBA president. Srinivasan most recently oversaw ManTech’s programs focused on the homeland security market. Prior to joining ManTech, he led the solutions development, growth strategy and market development for WBB‘s federal services.